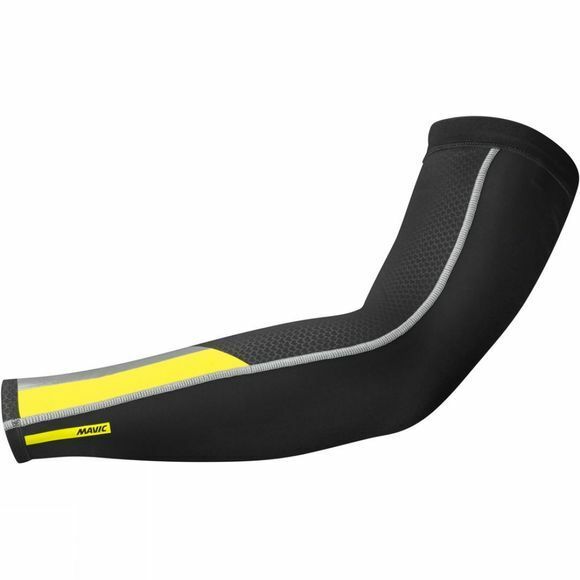 The Mavic Vision Arm Warmer combines both warmth and visibility thanks to its warm shell construction and 180˚ visibility panelling on the forearm. A soft brushed interior combined with a wind and water-resistant DWR (Durable Water Resistant) treatment provides lasting comfort and warmth on colder rides. The Warmers' ergo cut and high stretch construction allows optimum comfort in any riding position and the flatlock seams reduce the risk of chafing.